Skoda not only presents its first electric car in Geneva but also a 4kW strong two-wheeler called Klement. Connectivity and agility are at the core of the urban mobility concept, that comes with an unusual drive for a bike. 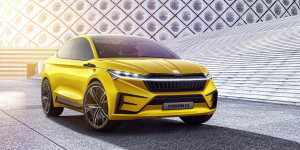 At the Geneva Motor Show, Škoda is presenting the Vision iV, a close-to-production preview of its first electric model based on the Volkswagen Group’s MEB modular system, which is due to be launched on the market in 2020. The drive and battery data match those of the Audi Q4 e-tron concept. 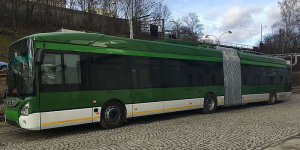 In the next four years, up to 50 Trollino 18 electric buses by the Polish manufacturer Solaris will be rolling onto the roads of the Romanian city Cluj-Napoca. These will be the first Solaris bendy buses with overhead wiring in the nation. Skoda is looking into electrification and has been prepping a hybrid concept for Geneva reportedly. Now new details of the Vision X have surfaced that set the hybrid SUV apart from the usual tribe of the Volkswagen brands as it features its very own drive. 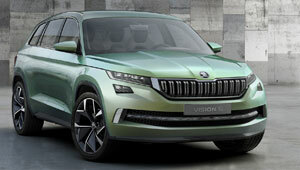 Skoda has announced plans to reveal its new concept Vision X at this years Geneva Motor Show in March. The Czech car manufacturer plans to expand its fleet by adding a small SUV. The move is viewed as an expansion into small SUV markets, offering a more affordable option from Skoda. Skoda, UNVI, Eviation Aircraft, Soel Yachts. Skoda’s beach buggy concept: The carmaker has trainees create their own model since 2014 and this time the 22 students put an electric beach buggy on Skoda’s Citigo base. The two-seater has neither roof nor doors, but an electric motor with 60 kW that is probably from the VW e-Up. German-Spanish cooperation: Spanish bus maker UNVI has gathered three component manufacturers in order to create electric buses made for sightseeing. BMZ is on board to build the batteries, Ziehl-Abegg for the drivetrain and SAV Studio to integrate the whole system. The shuttles shall transport up to 74 tourists and reach a range of 120 km. 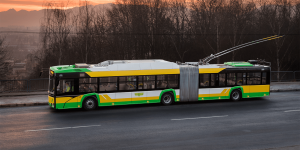 The first open top double-decker is planned to roll off the lines before the year’s end. Electric passenger plane: Eviation Aircraft unveiled a fully electric prototype of a light aircraft for six to nine passengers. An impressive range of 965 km is planned for the premium version Alice ER, while Alice may fly for about 550 km on a charge. With launch scheduled for 2018, commercial flights could start by 2021. First conversations with regional airlines have taken place already, states the Israeli start-up, that is also working on an unmanned variant called Orca. Energy-autonomous yacht: Dutch Soel Yachts and Naval DC developed an electric catamaran called SoelCat 12, capable to generate all energy for its propulsion system through its own solar roof. The 120 kW battery alone lasts for six hours of shipping at 8 knots. The first vessel is under construction in New Zealand for 600,000 dollars and shall serve for tours with up to 24 passengers. Denza, Skoda, Audi, Jaguar, Smart. Cash injection: Daimler and BYD both want to invest 500m yuan (72.6m dollars) into their indebted EV joint venture in China. Shenzhen Denza New Energy Automotive Co. will thus recapitalise to 3.36bn yuan, up from 2.36bn in order to strengthen its brand and distribution. To date, Denza has failed to turn a profit since its first and only jointly developed EV hit the market in 2014. 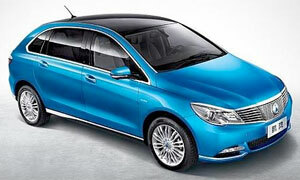 Since then, BYD and Daimler increased the range to 400 km last year but apparently to little avail. Electric super Skoda? Volkswagen’s Czech subsidiary is eyeing a sports EV, Auto Express reports. It will fit into the planned line-up of no less than five electric cars by Skoda although it will be most likely be the last in line by 2025. All electric Skoda will utilise VW’s MEB platform. Austria is next for Audi after the brand opened its order books for the e-tron quattro in Norway first. Alpinist may pay a 1,000 euros to secure their place on the waiting list. A launch is only due by the end of next year, although a concept appeared as early as 2015. Audi told electrive.net about its plans to add an 11 kW on-board charger to charge the 95 kWh battery that is to last for about 500 km. Jaguar I-Pace is making the rounds in Monaco where the brand’s first EV was caught bare. More revelations had to be made by Jaguar CEO Ian Callum on Twitter, where he admitted the I-Pace’s inability to tow a trailer unlike its opponent the Tesla Model X.
U.S. pricing Smart ED: The next-gen Smart for two ED will be 1,200 dollars cheaper than its predecessor. Prices start from 23,800 dollars in the USA , where sales are to begin this summer. Mercedes, Skoda, Seat, Nissan, Electra Meccanica, FF. Mercedes accelerates electric car roll-out: The premium segment is under pressure since diesel’s dirty secret has been aired, emission rules become ever tighter, and Tesla writes record after record and so Daimler reacts. 10 EVs by 2022 is the latest target – that is 3 years earlier than initially planned in Paris. On Wednesday’s annual conference in Berlin, CEO Dieter Zetsche also announced, he would invest 10bn euros in order to expand the electric lineup under the EQ label that shall cover every segment from compact to luxury. Fuel cells were not mentioned though. Skoda envisions e-mobility: There will be five all-electric models based on the MEB platform by 2025, said VW’s Czech subsidiary and also revealed further details on its first concept EV on the occasion. The Skoda Vision E is to go on display in Shanghai on April, 19 but preliminary spec reveal a range of 500 km and level 3 autonomous driving capability of the electric crossover coupe. Market entry is set for 2020 but a plug-in hybrid Superbe will hit the shelves a year earlier already. Seat is intensifying its electric endeavour as well as the Volkswagen brand plans for three EVs by 2020, Autocar learnt. Starting with the e-Mii with VW e-Up technology in 2019, next in line may be a compact electric car like the Leon with the VW e-Golf system. Lastly, an electric SUV resembling Volkswagen’s T-Roc is most likely. New Leaf spy shots: Nissan’s next-gen Leaf has been caught on camera in camouflage but its silhouette points to the IDS concept. The 2018 Leaf will be revealed this September and Nissan plans to launch it before the year’s end. Electra Meccanica roadster: Canadian Electra Meccanica vamped up its electric trike and displays the high performing Solo-R at the Vancouver Auto Show, where it also announced an electric roadster. The Tofino is destined for delivery from early 2019 for 50,000 Canadian dollars (about 35,000 euros). Faraday’s future remains in limbo at least in Californian Vallejo, where the company now cancelled its plan to build a second facility. Yet, Nevada shall stand – once construction continues. Skoda, BYD, California, Buick, Lexus, Thailand. 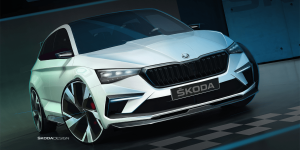 First glance at Skoda EV: In 2020 VW subsidiary Skoda plans to hit the road with its first pure-electric vehicle called Vision E. By publishing a teaser image the carmaker whets our appetite for the planned presentation of its coupe-like concept car at next month’s Shanghai Motor Show. 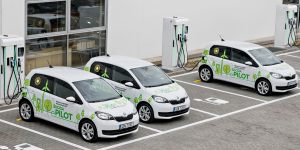 Skoda has technology at its disposal – namely Volkswagen’s MEB global platform – and says is will dedicate “an all-new model” rather than electrifying an existing car. BYD to build electric buses in France: China’s EV maker will invest 10m euros to set up its first electric bus assembly plant in Western Europe. The planners finally selected Allonne in the Hauts-de-France region. The new facility is to occupy an existing 32,000 sqm building and shall start production in the first half of 2018 with an annual capacity of up to 200 buses. Later on, the Chinese group wants to add an after-sales unit for maintenance and repairs, along with a logistics centre for spare parts. 15 percent PEV rule in California: The most populous state in the U.S. will not follow Trump’s new vehicle pollution standards but will uphold Obama’s (basically its own) ruling instead. Californian regulators voted to push ahead stricter rules for the period from 2022 to 2025 – inclusive the obligation for carmakers to sell 15 percent EV, FCV, or PHEV by 2025. The current rate is around 3 percent. Buick’s strategy for China: In 2017 Buick seeks to impress its largest market by adopting GM’s proven extended-range electric vehicle technology in new or updated models. The brand presented its Velite Concept with plug-in hybrid technology for the Chinese market recently and the next two years will see more BEV and PHEV from Buick there. Lexus debuts in India: The Japanese brand enters the Indian market with its RX 450h, ES 300h and LX450d vehicles. Besides, the brand has also pushed its all-new Lexus LS in the spotlight. 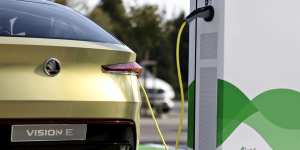 Thailand to attract PEV production: Demand for EV and HEV in Thailand is to receive a boost through a new promotion scheme and tax incentives. The latter shall support manufacture of electrified vehicles with applications for hybrids due this year and for EVs by 2018. The scheme will be submitted for cabinet approval tomorrow. Toyota, Volvo, Skoda, Lexus, Hyundai, Pininfarina. 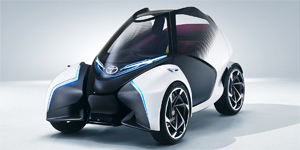 Toyota reveals brand new concept: The i-TRIL is an electric and autonomous city car. As was teased before, it features a one-plus-two seating layout as well as ‘Active Lean’ technology known from the i-Road, but the butterfly doors are news. The study also has self-driving technology, so much of it in fact, that it has no pedals. Control is applied through “drive-by-wire technology” instead, which is operated through devices similar to game controllers for the right and left hand. The electric drive sits in the rear and the i-Tril is said to have a range about 300 km. It is a little bigger than the Renault Twizy but different from its French competitor, that is very much alive, the i-Tril may hit the road from 2030 only. Volvo reveals new XC60: It is Volvo’s second take on its best-selling premium SUV and this new generation is led by the PHEV variant just like the latest XC90 series. The top of the range XC60 Twin Engine delivers 407 hp and the SUV boasts to the brim with semi-autonomous and safety technology. Production is scheduled for mid-April in Sweden. 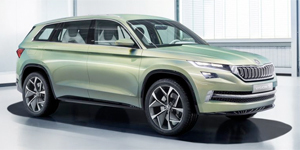 Electric Skoda confirmed: The first idea of how the electric future may look like for the Czech VW subsidiary will be presented this April in Shanghai, Auto Express reports quoting Skoda CEO Bernhard Maier. Details remain scarce. Scan&Charge enables ad-hoc charging via QR code, without the need to register with a service provider. 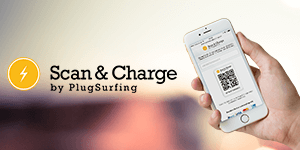 Scan&Charge is free-of-charge for all Charging Point Operators. EV drivers simply need to scan the image and select a payment method to start charging. Billing can be done by the minute or kWh. Get ad-hoc charging on your network for free today! Lexus premiers LS 500h: The latest luxury sedan of Toyota’s premium brand was presented at the Motor Show. It utilises the Multi Stage Hybrid System and thus couples a V6 engine with two electric drives. On sale date is set before the year’s end in Europe. Ioniq line-up complete: Hyundai revealed the last member of the Ioniq range, the plug-in hybrid in Geneva. It combines a 105 hp engine with a 45 kW electric drive. The 8,9 kWh battery lasts for about 63 km electric driving and the Ioniq PHEV is to enter Europe this July. Pininfarina’s turbine hybrid sedan it develops for Hybrid Kinetic Group reportedly, is on display in Geneva. The H600 Concept features a micro turbine as range extender that propels the range to 1,000 km. The hybrid powertrain has 800 hp with electric drives accounting for 600 kW. The collaboration with the new Hong Kong-based EV company is worth over 63m euros for Mahindra’s Pininfarina. Volvo, Nissan, Skoda, Tesla, Hyundai, China. 100 kWh Volvo EV by 2019: The Swedes offer details on their electrification. Mats Anderson, Volvo’s head of Electric Propulsion Systems introduced the Modular Electrification Platform (MEP). It fits electric drives from 100 – 450 kW and battery packs as large as 100 kWh. Expect such Volvo EV by 2019 and mild-hybrids the same year. Anderson also had a few news on PHEV. A 3-cylinder variant with 55 kW motor is due next year. Its 9.7 kWh battery takes both CCS and CHAdeMO. Nissan’s Leaf has a whole new look fresh spy shots reveal. While the little bestseller is too shy to let go of the mask just yet, glimpses manifest design elements carried over from the 2015 IDS Concept. Two Skoda EV? The VW up! is electrified already but may grow more EV twigs on the Volkswagen family tree. 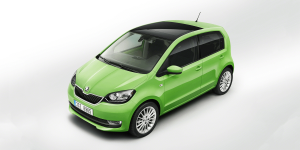 The Seat Mii is up for electrification by 2019 and Autobild reports that Skoda will make the Citigo electric, too. It will not stay a single child for long but may be joined by and electric compact SUV, a cousin of the Audi Q4. EV makers to expand: Electric cars are on course to cross new frontiers. Tesla has set eyes on India and hopes to make it there this summer, tweeted Elon Musk. Renault is on electric mission in Israel, while Hyundai travelled south until the Ioniq docked in New Zealand. Made for China: While Hyundai has postponed the Sonata launch last week due to China’s protection of its home market (we reported) the Koreans are not to give up to access to the biggest single market yet. Their Beijing facility is tasked to make an electric variant of the Avante, or Elantra, with Chinese built batteries. Production will start in the second half of this year as on-sale is set at the start of 2018. In domestic matters, Beijing just approved two more new energy vehicle projects. Manufacturers Fujian Yudo New Energy Automobile and National New Energy Vehicle gear up to make 115,000 fully electric cars. Investment stands at 6.15 billion yuan (896.5m dollars). Tesla, Solarcity, Skoda, China, UK, Audi, Faraday Future. Tesla presents solar roof and Powerwall 2.0: The newly unveiled and rather subtle solar roof tiles from Tesla and SolarCity not only collect sunlight, but are said to outlast, provide better insulation and cost less than regular shingles. They will be available from summer 2017 (after the merger?). Meanwhile, the new Tesla Powerwall 2.0 offers 13.5 kWh of storage – almost double the capacity than the previous version – and will be available for 5,500 dollars incl. the inverter from December. E-Skoda in 2019: Skoda wants to launch its electric SUV in 2019, Autocar reports – one year earlier than previously planned. Also, a PHEV variant of the Suberb will become available in 2019, while plug-in versions of the Octavia and Kodiaq are also in the pipelines. China bets on HEVs: After pushing electric and plug-in hybrid cars, the Chinese government is increasingly promoting pure hybrids as well. They are said to make up 8 percent of sales by 2020 and 25 % by 2030, Bloomberg reports, citing a government strategy paper. UK expands subsidies: The British government increased funding available for electrified utility vehicles to 4m pounds. So far, subsidies had only been available for electric and plug-in hybrid commercial vehicles of up to 3.5 tonnes. Now, even heavy trucks qualify for up to 20,000 pounds in funding. Audi A6 get plug: Audi kicked off production of its A6 in China. The new model is being manufactured at the FAW-Volkswagen plant in Changchun in the north-east of the country. It is Audi’s first PHEV made in China. Troubles to launch? Six top managers allegedly left Faraday Future in the past months, while doubts about the start-up’s solvency continue to be raised. FF meanwhile teased its first series model (camouflaged) in a new video. 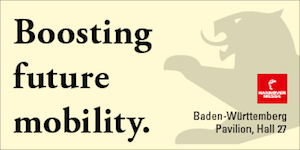 Audi, RWTH Aachen, BAIC, Skoda, Volkswagen, Bentley. Audi’s electric plans: Audi expects between 25 and 30 percent of their vehicles sold to be electric by 2025, according to German Manager Magazin. That would mean roughly 700,000 vehicles annually. The manufacturer will continue, however, to source battery cells from Korean companies LG and Samsung. Prototypes from RWTH Aachen: Following the success of their StreetScooter, students at the RWTH Aachen have prototyped another electric vehicle. The e.GO Life will cost just 12,500 euros, and 100 pre-series vehicles will be made available in 2017. They expect to begin full production in 2018 and then produce up to 10,000 units. BAIC increases funds: Chinese automaker BAIC BJEV has invested 3bn yuan (452m dollar) in the construction of operations and R&D, including centres based in Italy and Japan. Further funds will support the creation of yearly four to six new models. The company will also be providing electric vehicles for Uber. Electric Skoda: Skoda plans to launch their first electric vehicle in 2020. 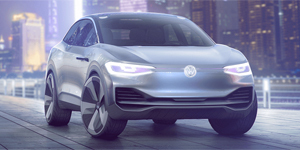 The SUV is based on Volkswagen’s new MEB battery-electric platform, has a target range of 300 miles and a 15-minute charging time. By placing the batteries in the floor the new SUV will also have space for three rows of seats. The PHEV variants of the Superb and Kodiaq will launch one year earlier. Jetta hybrid pulled: Volkswagen Group plans to drop their Jetta Hybrid in 2017 in the U.S., due to low interest from consumer. While it was sold 5,655 times in 2013, only 277 units left dealerships since the beginning of this year. The Jetta was the company’s only remaining hybrid offered in the U.S.
Bentley Continental GT spotted: The next-generation Bentley Continental GT has been spotted. Photos of the car were snapped during testing, as it prepares for the 2018 release date. Faraday Future, Tesla, Paris, Skoda, Nissan. 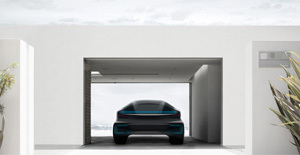 Faraday Future to build second facility: The electric carmaker has gotten the green light to set up its second factory in the city of Vallejo, California (we reported). The production site will be developed on an old Navy shipyard that has not been used since the late 90s. The details will be negotiated over the next six months. Rear shunt: A Swiss driver had to learn the hard way that it is wise tokeep your hands on the wheel and foot on the brake, even when driving a Tesla with Autopilot. The EV hit a truck that was parked on the left lane of a motorway. Tesla also continues to tell drivers to be ready to take over, as the system is not perfect yet. Paris tightens driving bans: From July, only cars first registered after 1996 and motorbikes that were registered after June 1st, 1999, will be allowed to drive in the city on weekdays. Paris will also issue pollution badges to easily identify polluters. About 10 percent of Paris’ cars will be affected. As always, EVs have nothing to worry about. Skoda eyes U.S.: The carmaker has registered different model names in the U.S., including the Superb (we reported), which will become available as a plug-in hybrid from 2019. A purely electric Skoda is in the cards for 2020/2021. Nissan powered by the sun: The carmaker commissioned a solar plant at its factory in Sunderland, UK, its largest production site in Europe and home to the Nissan Leaf. The 19,000 solar panels have a combined capacity of 4.75 MW. Together with ten wind turbines on site, it meets 7% of the battery plant’s energy needs. Toyota, Youzu Interactive, Alta Green Motors, Skoda, Zero FX. EV for Gen-Z: Toyota and Clemson University have teamed up to create the uBox, an electric car aimed at the upcoming generation of car buyers, Generation-Z. The EV includes an emission-free stationary energy source and a unique pultrusion technique to support a curved glass roof. Several parts can be personalised with 3D printing technology. Betting on games: Chinese mobile game developer Youzu Interactive is partnering with an electric vehicle producer in anticipation of self-driving cars. By building relationships with producers now, they hope to guarantee the chance to create games, video and content that will be featured in future automobiles. Brazilian electric: Alta Green Motors plans to develop electric vehicles in Brazil. What started as a project to create recharging stations turned into the new car, Liggo. The first prototype is expected by the end of 2016, and the dynamic chassis model can be adapted for other types of vehicles, and they have already designed a mini kart, as well as a vehicle for the physically handicapped. 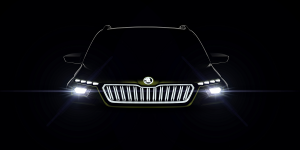 Skoda SUV: Skoda’s new SUV was revealed in Prague, with the official unveiling still set for this fall at the Paris Motor Show. The car, likely dubbed Kodiaq, will also be available as a plug-in hybrid, though it will not be part of the launch range. Toyota tyres: Yokohama tyres will be official equipment for the upcoming Toyota Prius. The BluEarth E70 will appear in Europe, Japan and Oceania, and the BluEarth S34 all-season tyres in North America. Other regions will feature the Aspec A349. Several other brands have also received approval to provide original equipment, including Sumitomo Rubber in Japan. Off-roading: The Zero FX electric motorcycle is put to test off-road. The bike proved great for zipping around on main roads and going briefly off-road, though it differed greatly in feel from the traditional bike. It was also incredibly quiet compared to traditional motorcycles. Tesla, Daimler, Renault-Nissan, Skoda, Mexcio, Volvo, Mercedes. The Model 3 unveiled: After much ado, Elon Musk finally took the wraps off the Model 3 in California. The smaller version of the Model S is said to have an EPA rating of 215 miles and will cost (as promised) 35,000 dollars. The base version of the EV will go from 0 to 60 mph in under 6 seconds, while there are versions “that can go much faster.” Autopilot hardware also comes standard, as do supercharging capabilities, even though Musk did not mention whether fast-charging will cost extra. 115,000 units were reserved on March 31st, before the Model 3 had even been unveiled. Production is said to start late 2017, and Musk said that he feels “fairly confident” that deliveries will begin at the end of next year. Mercedes meets Renault-Nissan: Renault-Nissan and Mercedes producer Daimler plan to expand their partnership, the Handelsblatt reports. The two companies have been working together since 2008, but the new alliance could mean collaboration on electric cars. The carmakers plan to jointly operate a factory in Mexico, and also take additional stakes in each other’s businesses. Skoda expands: As part of a memorandum of understanding with Chinese joint venture partner SAIC Volkswagen. Skoda plans to expand their model range and technologies, and will invest 2bn euros in research and development in the next five years. The Czech automaker hopes to introduce two new SUV variants and one crossover utility vehicle in China. Bans in Mexico: Due to smog, Mexico City is limiting private and federal car usage in the city. Cars will be banned one day every week, as well as one Saturday each month. This follows a level 1 smog alert last month. 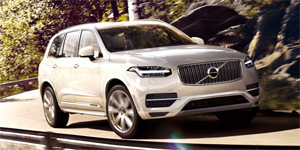 Volvo priced: The luxury Volvo XC90 Excellence will cost 106,000 dollars in U.S. This is a huge increase from the XC90 at 44,945 dollars, and the T8 Twin-Engine model at 69,095 dollars. The Excellence will be offered only as a plug-in hybrid. A limited number will be made available in the U.S., as it is primarily designed for the Chinese market. Mercedes moves production: Mercedes anticipates further capacity shifts from their South African Daimler production plants to East London. By the end of the year, the Mercedes-Benz C350e, their second plug-in model, will be produced at the East London plant. Investment specifically for the C350e has not yet been finalized, but officials describe the plant as capable of integrating work on hybrid vehicles. BMW, Tesla, Skoda, Porsche, Xiaomi, Electra Meccanica. Brand new BMWi models: BMW has given an update on its future strategy, in which e-mobility plays a major role. A new electric model will be introduced at the beginning of the next decade, called the BWM i Next – which will also be the first offspring of the project i2.0that focuses more on connected and automated driving. Other plug-in hybrids will follow, while research for a fuel cell vehicle continues. Furthermore, there will be a new roadster version of the i8 by 2018, and most imporntantly, the i3 will be upgraded with a 50 percent bigger battery and revised design in the second half of this year. It should be availble in four variants with a small or larger battery and with or without range extender. Model 3 launch: The invites for Tesla’s big day have been sent, as the EV maker gears up to present its economy model in LA on March 31st. There will be 800 guests, 650 of them Tesla drivers, chosen via lottery. Once the wraps have come off the Model 3, online sales will open on that same day at 8:30 p.m. (PST). Skoda electrifies: The VW brand will launch its first electric car by 2020 or 2021. Sitting on the MEB platform, engineers aim for 300+ miles, 15-minute charging time and a price below a comparative gas guzzler. This could therefore be VW’s very own Bolt or Model 3. The Superb PHEV will hit the stores already by 2019. Naked Porsche prototypes (almost): The German luxury car manufacturer has no less than three upgrades undergoing testing and savvy photographers have spotted the Cayenne, Panamera and 911 only slightly camouflaged. All three will be available as PHEV. 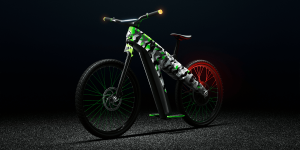 Smart e-bike: Chinese smartphone firm Xiaomi is venturing into the pedelec field and is expected to launch a smart electric bike within the next month. Priced at about 450 – 550 dollars, the pedal-assisted bike will join a growing portfolio that includes a Segway-styled scooter, as well as cycle sub brands. Solo sneak-peak: Electra Meccanica looks well on target for production of its planned electric trike, the Solo. As the name suggests, it seats one person and first specs speak of 87 mph top speed, a 100 mile range and most astonishingly, a price around 15,000 dollars. Skoda, Volkswagen, Borgward, McLaren, Bradshaw, Renault. 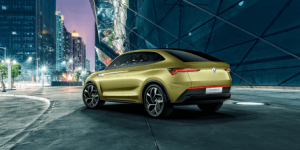 Vision for real: Skoda officially presents the Vision concept SUV at the Motor Show that reportedly foregoes the Kodiak set for launch in autumn. According to Automobil Produktion, a serial PHEV version will follow by 2019, as well as an electric model a little later. VW luxury PHEV: Volkswagen and SAIC created the Phideon limousine exclusively for the Chinese market, where it will go into production this autumn. It is currently being shown in Geneva and comes with function previously not available in any VW. The German carmakers says a plug-in hybrid is planned as well. Borgward awakens: The revived brand that made its debut at the IAA last year, brings two new plug-ins to Geneva. Both the BX5 and BX6 TS are at pre-production stage and would be positioned below the bigger BX7. The SUV BX5 plug-in hybrid drive boasts 258 hp, while the sportier BX6 PHEV has 422 hp. Pure electric models will be a future option for Europe. Borgward further considers where to set up production in Germany and will announce a decision before the end of the year. McLaren charges ahead: The British race car marker plans 15 new models by 2022, half of them hybrid, Autocar reports. The rare P1 will be reissued and might race on purely electric power come 2023 – that is, if the ‘not-so-secret’ hyper car McLaren is currently working on proves a success as BEV. 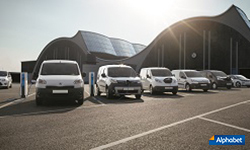 Road-ready electric UV range: British Bradshaw reveals a line-up of electric vehicles with body options that range from last mile delivery to pick-ups and shuttle buses. Maximum speed is 25mph with a payload of up to 900 kg. The 50-mile range can be extended by simply swapping the battery. Scenic hybrid confirmed: Renault is showing the fourth-gen Scenic in Geneva. The French confirmed that the MPV will indeed be offered as diesel-hybrid as expected. Skoda, Tesla, Riversimple Engineering, Chrysler, Hyundai. Skoda envisions an SUV that will reportedly come as a PHEV to Geneva. The VisionS concept features an electric drive on each axle and a system output of 165 kW for 50 km range. Zero-interest Tesla loans: The EV maker offers Chinese buyers a zero-interest loan for financing the Model S with 90 kWh battery pack to celebrate the new year of the fire monkey. In the U.S., Tesla revived its referral programme, now offering the chance to win a Model X or a Space X tour. Compact FCV update: As Riversimple Engineering just presented its compact Rasa fuel cell city car, new details emerge. Range for the production-ready prototype is given at 300 miles on 1.5 kg of hydrogen, while supercaps store extra energy from KERS. Serial production is set for 2018. Chrysler EV? The new Pacifica debuted in Detroit, where GM also announced a PHEV version. Now a camouflaged Pacifica was spotted bearing an EV batch. Is there an electric Chrysler in the making? First drive: Hilton Holloway put a Korean version of the hybrid Ioniq to the test and is convinced by its “simplicity” and effortlessness in a “refined” sense that is true to spec and targeted market. Nissan, Harmony Futeng, Formual E, Kiira, Skoda, GM. Leaf deliveries halted: Nissan has stopped deliveries of the 2016 Leaf in Europe, Transport Evolved reports. The reason seems to be a problem with the new NissanConnect EV telematics system. Apparently, the system keeps rebooting itself unexpectedly. Nissan is trying to fix the issue, but has not set a date for resuming deliveries yet. EV expertise in the Far East: Harmony Futeng Internet and Intelligent Electric Vehicle Company has hired Carsten Breitfeld, formerly head of development for the BMW i8, as its new CEO. He is backed by COO Daniel Kirchert, who gathered experience at Nissan-Dongfeng and BMW-Brilliance in China. Harmony Futeng is the EV expenditure of Hon Hai, better known as Foxconn, Tencent and Harmony Auto. Formula E take over: Chinese newcomer NEXTEV seeks to become a more dominant owner of Team China Racing (TCR), Motorsport learned. Rumour has it also that Polish Robert Kubica, formerly Formula 1, is looking for his chance to enter the electric racing series. Solar bus from Uganda: Kiira Motors presented the prototype of Africa’s first solar-powered bus. The Kayoola sits 35 and one of its two batteries can be charged by solar panels on the roof. The Ugandan manufacturer is currently looking for partners to start serial production. 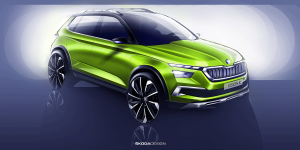 Skoda SUV preview: The Skoda outlined its VisionS concept with a few design sketches ahead of its debut in Geneva. The study is believed to be the prequel to manufacturer’s upcoming SUV allegedly named Kodiak. Launch is set for late 2017 and the Kodiak will also be available as a PHEV. 2017 Volt rolling off lines: General Motors has started production of the updated Chevrolet Volt. First deliveries of the electric car will begin in a few weeks’ time.